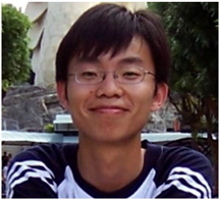 This year the core course instructors have enthusiastically recommended Yongjin Xiao for this scholarship for his outstanding contributions to research. Since entering our graduate program last fall, Yongjin has consistently demonstrated academic excellence in his first year classes, which, by nature of the new course structure, were largely outside his home department of Biological Sciences. Prior to his arrival at VIMS, Yongjin obtained a Joint European Master’s Degree in Water and Coastal Management at the University of Algarve in Portugal and the University of Bergen in Norway. He graduated from this program with distinguished honors, published his eutrophication research in the journal Estuaries and Coasts and presented his work at international meetings. When Yongjin arrived in the U.S. last August, he immediately adapted to graduate life here at VIMS, where he continues to demonstrate his strong work ethic and leadership qualities through his interactions with his classmates and instructors. His instructors say they often see Yongjin kindly assisting other students when they have questions about the materials presented. His easy-going attitude, enthusiasm and sense of humor make him an asset to every class—both for the instructors and the other students. For his dissertation research, Yongjin will be working with Marjy Friedrichs. He plans to investigate the effects of climate change on carbon cycling along the U.S. East coast, using satellite data in combination with state-of-the-art marine biogeochemical-circulation models. We wish him the best of luck, and congratulate him on this award.